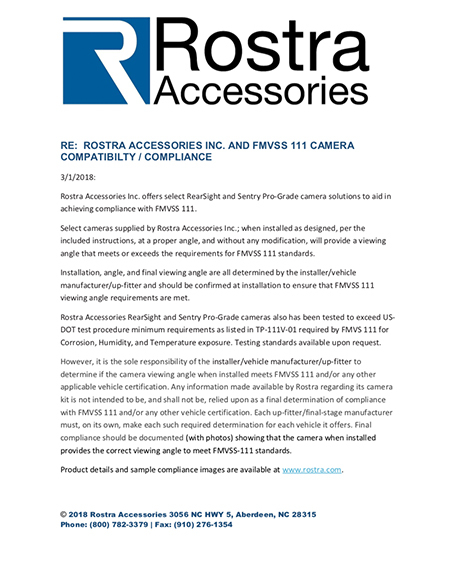 Need help selecting FMVSS 111 compliant cameras for your vehicles? Click here to contact us today! 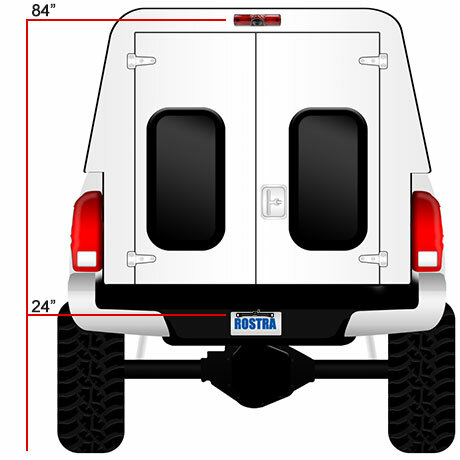 Rostra offers a complete line of camera systems for use in such industries as aftermarket truck body manufacturing and we even offer plug-and-play tailgate delete solutions for when an OEM tailgate-mounted camera has been removed. 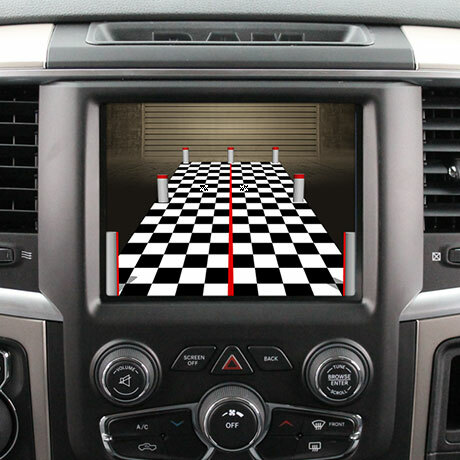 These systems allow for FMVSS 111-compliant cameras to be used with OEM in-dash LCD screens and infotainment systems. With the variety of vehicles in your fleet, it's important to know that you have one camera provider that can assist in making all of your vehicles compliant with FMVSS 111 visibility requirements. Rostra tests its camera systems at a variety of heights and positions on the vehicle to help ensure compliance and safety for your drivers and pedestrians. All cameras were tested in a full range of heights to maximize installation options. The Minimum and Maximim heights listed are when installed per the intended installation method. 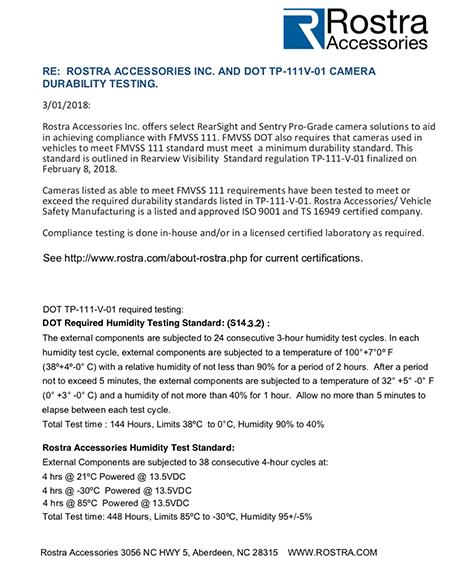 Rostra Accessories RearSight™ and Sentry Pro-Grade™ cameras have also been tested to exceed US DOT test procedure minimum requirements as listed in TP-111V-01 required by FMVSS 111 for Corrosion, Humidity, and Temperature exposure. Testing standards available upon request. To download our FMVSS 111 Certification Letter or DOT TP-111V-01 Certification, please click either of the images below.